We will be providing the no host bar at this year’s Bombs Away Ball! The Past meets The Future! Come join us May 24th at 7 pm to bid on your favorite cowboy to win the Bronc Riding or the Bull Riding at this years Helix Heart of the Country Rodeo! Local pit master Brad Bullington will be at the distillery August 18th showcasing his barbecue and smoker skills. Love smoked meats? Well you are in for a treat! Food and drink specials all day long. Brad will be available for autographs and pointers! See you soon! Are you over the age of 18? Like Pizza? Want to learn how to make pizza? Join us for Pizza Camp at the distillery. Happy campers will learn everything there is to know about pizza and a whole lot more. 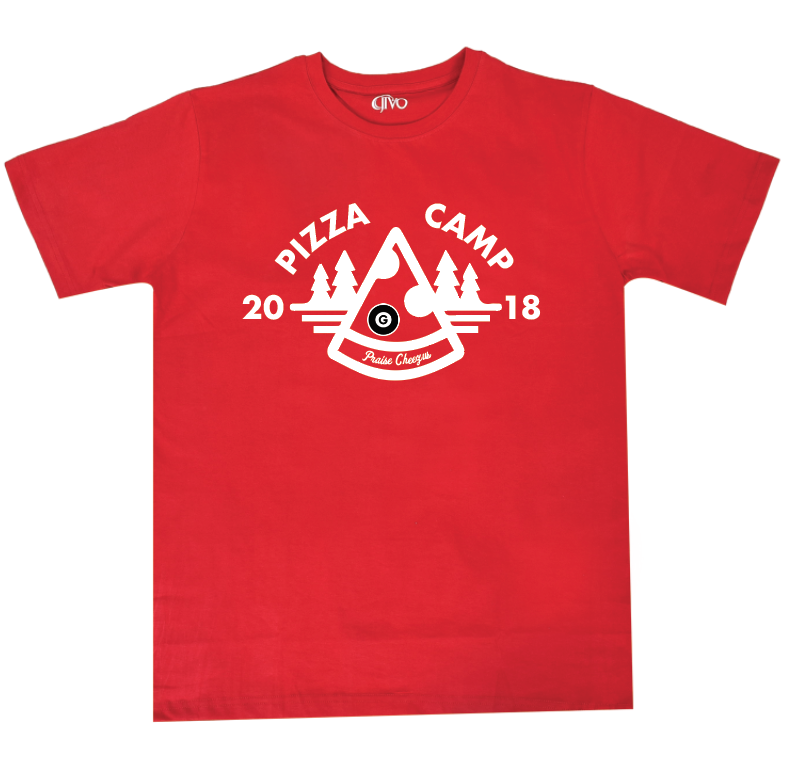 Our camp counselors will guide you through every level of pizza making. Each camper will receive all of this PLUS a camp t-shirt, 2 drink tokens and their own dough balls to take home and delicous pizza to eat! You’ll definitely be writing home about this camp! Bringing the heat! Ovens, Grills, and brick ovens oh my! or you can buy them in person at the distillery. We will be having kids camps in August! We don’t ask for much, just air to breath, water to drink and some food when we are hungry. But do you think much about where those things come from? Air and water are part of the earth’s grand recycling system, but what about food? Every creature that lives on land is dependent on plants, and plants are dependent on soil. Everyone knows what soil looks like and where they can find some, but do you really know what soil is? In this talk, soil scientist and agricultural researcher Stewart Wuest is going to emphasize the most important features of soil and how soil and climate in the inland Pacific Northwest creates an especially productive environment for growing wheat. OMSI is taking our popular Science Pub event series on the road and we're excited to host a one-time event in Pendleton on April 4. OMSI's Outreach Team is traveling through Eastern Oregon and will be making a stop in Pendleton during the day and we wanted to continue to share our love of science by hosting a special Science Pub lecture that evening. We hope you will join us! The Oregon East Symphony annual fundraiser event for this year will be "Mix It Up! ", to be held at Oregon Grain Growers Distillery on Saturday, May 20th at 6pm. Symphony board members and musicians have teamed up with Oregon Grain Growers to craft a series of cocktails based on musical in-jokes. The cocktails, along with local beer and wine, will be complimented by a meal of hearty hors d'oeuvres that includes BBQ pulled pork. Live musical entertainment for the evening will be provided by the Equinox Jazz Quartet featuring Emily Muller Callender (piano, vocals), Andy Cary (alto sax), Alan Feves (bass), and Andy Steele (drums) and the Eastern Oregon Community Big Band under the direction of Andy Cary. The Eastern Oregon Big Band features musicians from across the region of northeastern Oregon/southeastern Washington, many of whom who are music educators, including Aaron Engum, Jill Scanlan, Mike Agidius, Peter Willis, Daniel Groseclos, Richard Simon, David Chorazy, Jill Scanlan, Josh Freeman, Dan Allen, Brad Rosema, Darren Dutto, Bill Gilbert, and Steve Muller. Proceeds go towards funding the Oregon East Symphony's concert and education programing. Tickets are available at the Symphony Office (345 SW 4th), Pendleton Art & Frame (36 SW Court Ave), Oregon Grain Growers Distillery and at the door. Come enjoy the best of Downtown Pendleton with your friends and families! Featuring live music, special drinks, and unique promotions. The distillery will be serving cocktails outside of The Great Pacific in the beer garden from 12PM on. See you there! Beer garden and live music at Great Pacific Wine & Coffee Co.
Winemaker Dave Harvey from Bergevin Lane Vineyards will be offering tasting and info at The Pendleton Coffee Bean & Bistro "PCB" 1:00-5:00! Join Oregon East Symphony & Chorale at Oregon Grain Growers Brand Distillery for Mix It Up! at 6 p.m. Tickets can be purchased at the door. Pendleton Center for the Arts will offer a FREE youth class 9:30-10:15 and a FREE 'Hip and Handmade' class from 11:00-12:00 noon! In addition, they'll have a special surprise downtown at 1:00! Rolling Stone Bakery will have their famous pretzels! We will be serving cocktails and offering free tastings at the Doolittle Raiders Gala Car Show. We will be entering our Divco milk truck and several other cars. Enter your car and enjoy a cocktail. We will be closing the tasting room and distillery early on Friday for a Private event. We will be back open on Saturday @ noon. Thank you! You can find our Divco delivery truck tomorrow at the Old Fashioned Holiday Stroll here on Main street in Pendleton Oregon. Swing by for free tastings and purchase a bottle or two. See you 3PM to 7PM. Come celebrate the grand opening of Pendleton’s first craft distillery. We are offering free tastings, tours, and food. There will also be games, prizes and the ability to try our new Ouragon Vodka and ACME Corn Whiskey in a signaturecocktail. Come celebrate and take a few bottles home to share with your friends, Neighbors, and family. See you soon! We have finalized our cocktail menu for Oktoberfest Pendleton. There is a little something for everyone. See you at the Pendleton Round-Up Grounds October 15th. Swing by and we will amaze you with our Oktoberfest theme cocktails. PROST! In collaboration with the Eastern Oregon Film Festival: a live soundtrack by Pacific Northwest composer John Paul set to a silent film shot in Umatilla County called City Girl. We will be serving themed cocktails during the reception. Come down and enjoy the show and some cocktails. See you there! We will be attending the Pendleton Farmer's Market every Friday afternoon from August until late October. Come down for a free tasting of our Ouragon Vodka and ACME Corn Whiskey. Hear about our story and take home some outerwear and a bottle or two. nnouncing an OPEN HOUSE at the distillery this weekend! We will have a beer garden serving local Prodigal Son beer and running distillery tours every 30min!Merchandise will be available for purchase. We have some invites to hand out for this weekend. Are you going to be around Pendleton Saturday afternoon? We are building our still and having a little celebration in its honor. If you are interested in coming down and learning more about what we are doing shoot us a message. Spots are limited so act fast.